Supply Chain Management can be defined as the management of flow of products and services, which begins from the origin of products and ends at the product’s consumption. It also comprises movement and storage of raw materials that are involved in work in progress, inventory and fully furnished goods. The main objective of supply chain management is to monitor and relate production, distribution, and shipment of products and services. This can be done by companies with a very good and tight hold over internal inventories, production, distribution, internal productions and sales. 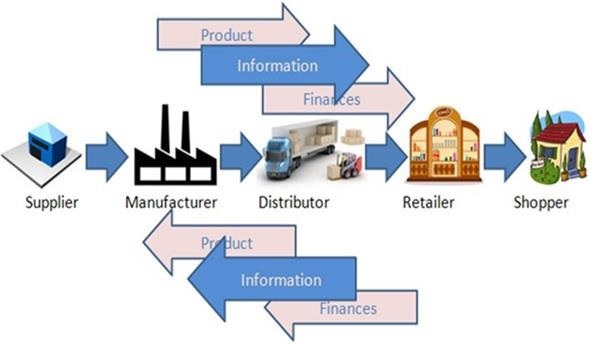 In the above figure, we can see the flow of goods, services and information from the producer to the consumer. 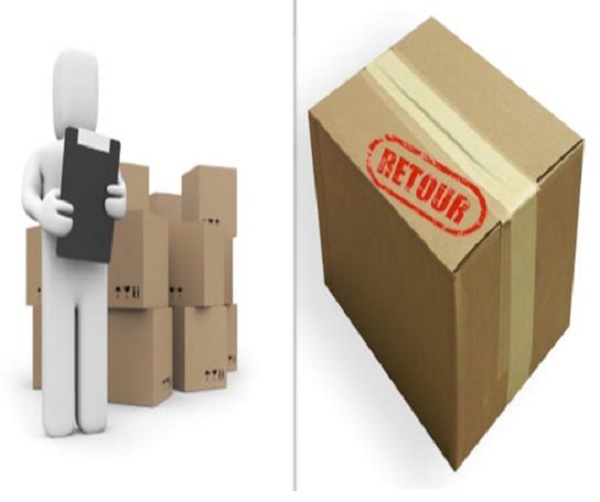 The picture depicts the movement of a product from the producer to the manufacturer, who forwards it to the distributor for shipment. The distributor in turn ships it to the wholesaler or retailer, who further distributes the products to various shops from where the customers can easily get the product. Supply chain management basically merges the supply and demand management. It uses different strategies and approaches to view the entire chain and work efficiently at each and every step involved in the chain. Every unit that participates in the process must aim to minimize the costs and help the companies to improve their long term performance, while also creating value for its stakeholders and customers. This process can also minimize the rates by eradicating the unnecessary expenses, movements and handling. Here we need to note that supply chain management and supply chain event management are two different topics to consider. 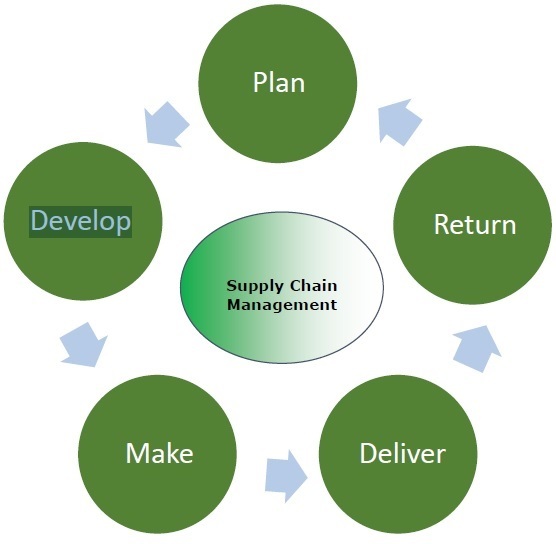 The Supply Chain Event Management considers the factors that may interrupt the flow of an effective supply chain; possible scenarios are considered and accordingly, solutions are devised for them. In this era of globalization where companies compete to provide the best quality products to the customers and satisfy all their demands, supply chain management plays a very important role. All the companies are highly dependent on effective supply chain process. Develops better customer relationship and service. Creates better delivery mechanisms for products and services in demand with minimum delay. Improvises productivity and business functions. Minimizes warehouse and transportation costs. Minimizes direct and indirect costs. Assists in achieving shipping of right products to the right place at the right time. Enhances inventory management, supporting the successful execution of just-in-time stock models. Assists companies in adapting to the challenges of globalization, economic upheaval, expanding consumer expectations, and related differences. Assists companies in minimizing waste, driving out costs, and achieving efficiencies throughout the supply chain process. These were some of the major advantages of supply chain management. After taking a quick glance at the concept and advantages on supply chain management, let us take a look at the main goals of this management. Supply chain partners work collaboratively at different levels to maximize resource productivity, construct standardized processes, remove duplicate efforts and minimize inventory levels. Minimization of supply chain expenses is very essential, especially when there are economic uncertainties in companies regarding their wish to conserve capital. Cost efficient and cheap products are necessary, but supply chain managers need to concentrate on value creation for their customers. Exceeding the customers’ expectations on a regular basis is the best way to satisfy them. Increased expectations of clients for higher product variety, customized goods, off-season availability of inventory and rapid fulfillment at a cost comparable to in-store offerings should be matched. To meet consumer expectations, merchants need to leverage inventory as a shared resource and utilize the distributed order management technology to complete orders from the optimal node in the supply chain. Lastly, supply chain management aims at contributing to the financial success of an enterprise. In addition to all the points highlighted above, it aims at leading enterprises using the supply chain to improve differentiation, increase sales, and penetrate new markets. The objective is to drive competitive benefit and shareholder value. After understanding the basic flows involved in the supply chain management, we need to consider the different elements present in this flow. 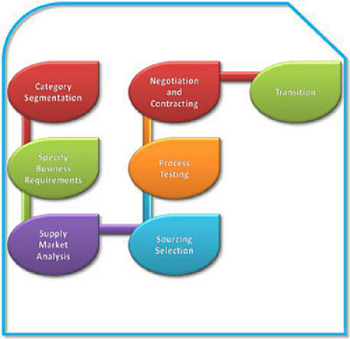 Thus, the different components of the flow of supply chain are described below. Transportation or shipment is necessary for an uninterrupted and seamless supply. The factors that have an impact on shipment are economic uncertainty and instability, varying fuel prices, customers’ expectations, globalization, improvised technologies, changing transportation industry and labor laws. Transportation managers should acknowledge the supply freight flow and accordingly design the network layout. Now, when we say long term decision, we mean that the transportation manager has to select what should be the primary mode of transportation. The manager has to understand the product flows, volume, frequency, seasonality, physical features of products and special handlings necessities, if any. In addition to this, the manager has to make decisions as to the extent of outsourcing to be done for each and every product. While considering all these factors, he should carefully consider the fact that the networks need not be constant. For example, in order to transport stock to regional cross dock facilities for sorting, packaging and brokering small loads to individual customers, stock destinations can be assembled through contract transportation providers. These functional decisions stress on daily freight operations. 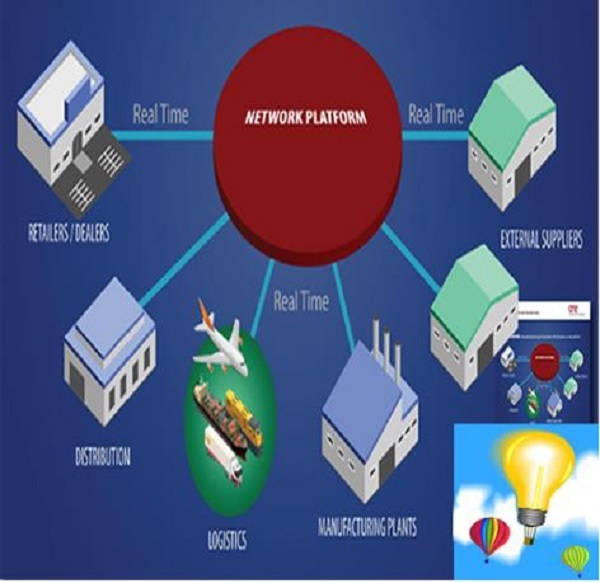 Here, the transportation managers work on real time information on products’ requirements at different system nodes and must collaborate every move of the product that is both inbound and outbound shipping lanes so as to satisfy their services demands at the minimal possible cost. Managers who make good decisions easily handle information and utilize the opportunities for their own profit and assure that the product is moved to them immediately, whenever it is demanded, that too in the right quantity. At the same time, they are saving cost on transportation also. For example, a shipment has landed from a supplier who is based in New Jersey and in the same week, a product needs to be dispatched to New York as it becomes available for movement. If the manager is aware of this information in advance, he would prepare everything as per the demand and the products could be shipped out immediately. 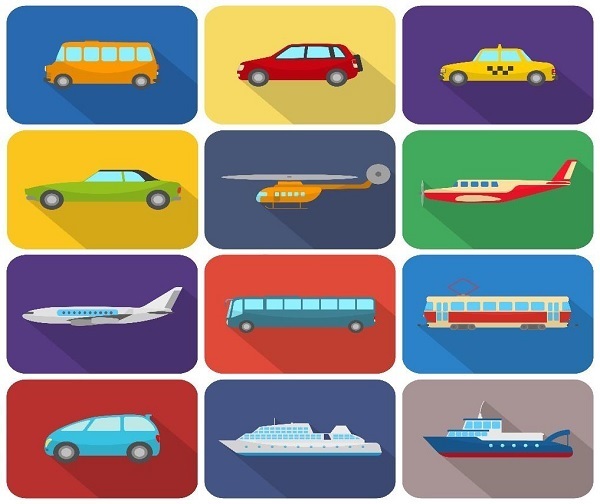 A very important decision to be made is to choose the mode of transportation. With the improvement in the means of transportation, modes of transport that were not available in the traditional transportation modes in the past can be now be a preferred choice. For example, rail container service may offer a package that is cost-efficient and effective as compared to a motor transport. While making a decision, the manager has to consider the service criteria that need to be met, like the delivery time, date special handling requirements, while also taking into consideration the element of cost, which would be an important factor. This involves the last level of decision-making. This comprises planning, routing and scheduling. For example, if a carriage is being loaded with different customers’ orders, the function of the dock-level managers is to assure that the driver is informed of the most efficient route and that loads are placed in the order of the planned stops. 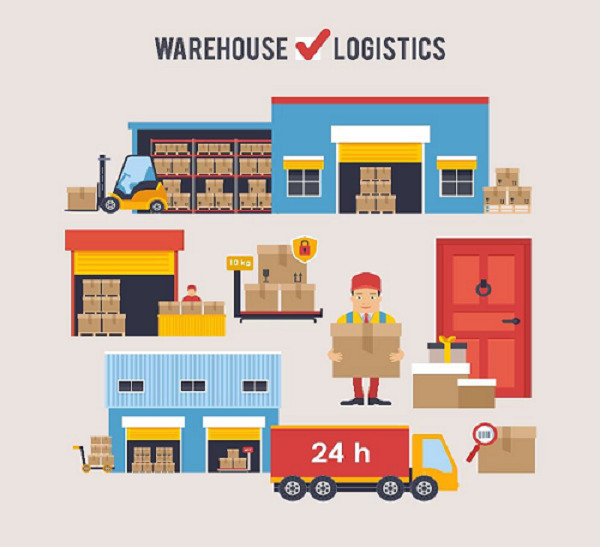 Warehousing plays a vital role in the supply chain process. In today’s industry, the demands and expectations of the customers are undergoing a tremendous change. We want everything at our door step – that too with efficient price. We can say that the management of warehousing functions demands a distinct merging of engineering, IT, human resources and supply chain skills. To neutralize the efficiency of inbound functions, it is ideal to accept materials in an immediately storable conveyance, like a pallet, case or box. For labeling the structure, tool selection and business process demand the types and quantities of orders that are processed. Further, the number of stock-keeping units (SKU’s) in the distribution centers is a crucial consideration. The Warehouse Management Systems (WMS) leads the products to their storage location where they should be stored. The required functionality for the completion and optimization of receiving, storing and shipping functions is then supplied. Sourcing and procurement are a vital part of the supply chain management. The company decides if it wants to perform all the exercises internally or if it desires to get it done by any other independent firm. This is commonly referred as the make vs buy decision, which we will be discussing in brief in another chapter. Speed − It is a must to have quick and easy returns management and automate decisions regarding whether to produce return material authorizations (RMAs) and if so, how to process them. Basically, the tools of speed return processing include automated workflows, labels & attachments and user profiles. Visibility − For improving the visibility and predictability, information needs to be captured initially in the process, ideally prior to delivering the return to the receiving dock. Most effective and easily implementable approaches for obtaining visibility are web-based portals, carrier integration and bar-coded identifiers. Control − In case of returns management, synchronizing material movements is a common issue that needs to be handled. The producers need to be very cautious and pay close attention to receipts and reconciliation and update the stakeholders of impending quality issues. In this case, reconciliation activates visibility and control all over the enterprise. The key control points in this process are regulatory compliance, reconciliation and final disposition and quality assurance. 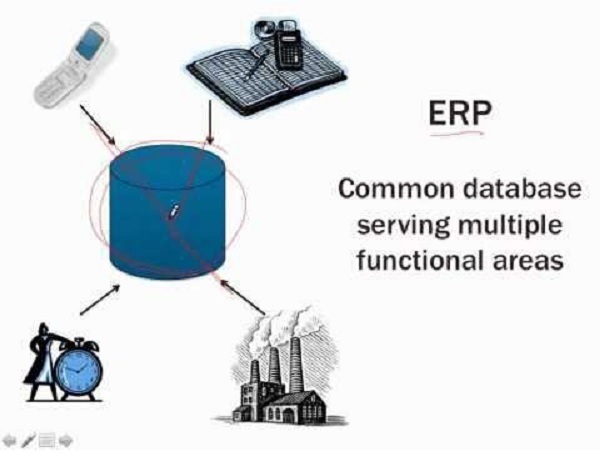 Software solutions can assist in speeding up the returns management by supporting user profiles and workflows that state supply chain partners and processes, by labeling and documentation that tracks the material along with the web-based portals and by exception-based reporting to deliver information for timely reconciliation. These characteristics, when executed with the three pillars mentioned above, support a reliable and predictable returns process to count value across the company. Now that the ordered shipment is over, what is the next step? The post sales service in supply chain tends to be an increasingly essential factor as businesses offer solution instead of products. The post sales services comprise selling spare parts, installing upgrades, performing inspection, maintenance and repairs, offering training & education and consulting. Presently, with the growing demands of the clients, a high volume of after sales service proves to be a profitable business. Here, the services are basically heterogeneous and the value-added services are different from those provided prior to sales service. 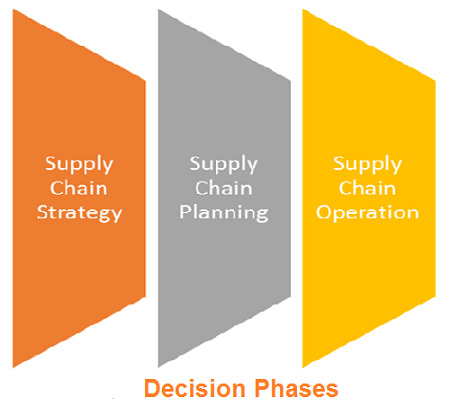 Decision phases can be defined as the different stages involved in supply chain management for taking an action or decision related to some product or services. Successful supply chain management requires decisions on the flow of information, product, and funds that fall into three decision phases. In this phase, decision is taken by the management mostly. The decision to be made considers the sections like long term prediction and involves price of goods that are very expensive if it goes wrong. It is very important to study the market conditions at this stage. These decisions consider the prevailing and future conditions of the market. They comprise the structural layout of supply chain. After the layout is prepared, the tasks and duties of each is laid out. All the strategic decisions are taken by the higher authority or the senior management. These decisions include deciding manufacturing the material, factory location, which should be easy for transporters to load material and to dispatch at their mentioned location, location of warehouses for storage of completed product or goods and many more. 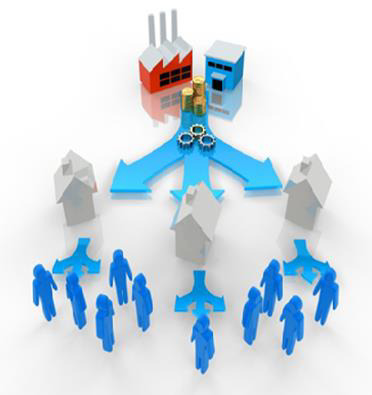 Supply chain planning should be done according to the demand and supply view. 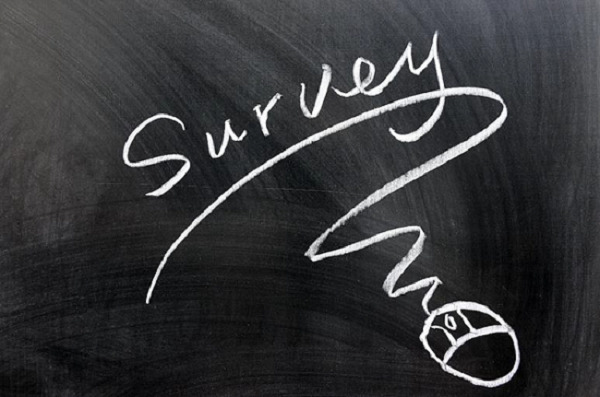 In order to understand customers’ demands, a market research should be done. The second thing to consider is awareness and updated information about the competitors and strategies used by them to satisfy their customer demands and requirements. As we know, different markets have different demands and should be dealt with a different approach. This phase includes it all, starting from predicting the market demand to which market will be provided the finished goods to which plant is planned in this stage. All the participants or employees involved with the company should make efforts to make the entire process as flexible as they can. A supply chain design phase is considered successful if it performs well in short-term planning. The third and last decision phase consists of the various functional decisions that are to be made instantly within minutes, hours or days. The objective behind this decisional phase is minimizing uncertainty and performance optimization. Starting from handling the customer order to supplying the customer with that product, everything is included in this phase. Strategic sourcing can be defined as a collective and organized approach to supply chain management that defines the way information is gathered and used so that an organization can leverage its consolidated purchasing power to find the best possible values in the marketplace. We cannot build up the significance of operating in a collaborative manner. 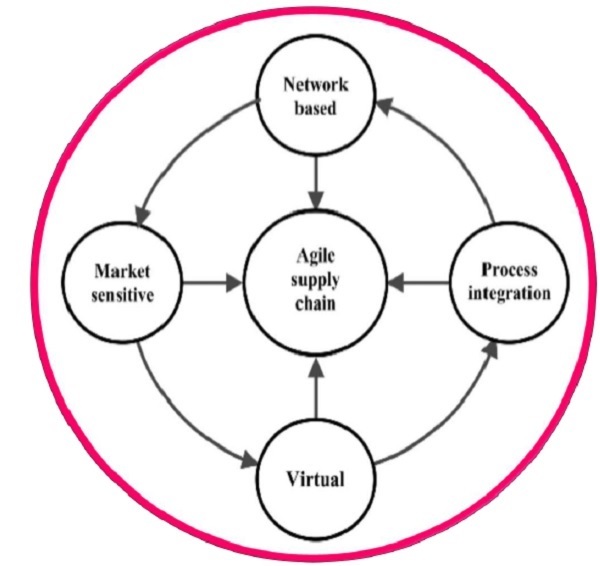 Several decades have witnessed a major transformation in the profession of supply chain, from the purchasing agent comprehension, where staying in repository was the criterion, to emerging into a supply chain management surrounding, where working with cross functional and cross location teams is important, to achieve success. 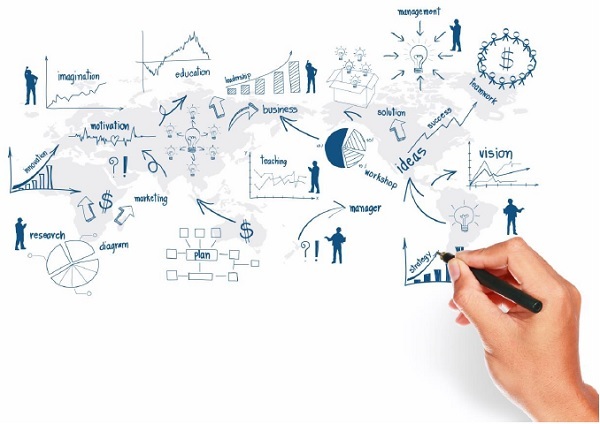 Strategic sourcing is organized because of the necessity of some methodology or process. It is collective because one of the most essential necessities for any successful strategic sourcing attempt is of receiving operational components, apart from the procurement, engaged in the decision-making and assessment process. The process of strategic processing is a step by step approach. There are seven distinct steps engaged in the process of strategic processing. These steps are explained below in brief. The first three steps involved in the strategic sourcing are carried out by the sourcing team. In this first stage, the team needs to do a complete survey on the total expenditure. The team ensures that it acknowledges every aspect regarding the spend category itself. Complete previous expenditure records and volumes. Expenditures divided by items and sub items. Expenditures by division, department or user. Future demand projections or budgets. For example, if the classification is grooved packaging at a customer goods company, the team has to acknowledge the description of the classification, application patterns and the reason behind specification of particular types and grades specified. Stakeholders at all functioning units and physical locations are to be determined. The logistics, for instance, needs an updated report regarding the transportation specifications and marketing requirements to acknowledge some quality or environmentally applicable features. The second step includes frequent assessment of the supplier market for pursuing substitute suppliers to present incumbents. A thorough study of the supplier marketplace dynamics and current trends is done. The major element of the key products design is should-cost. Along with it, an analysis on the major suppliers’ sub-tier marketplace and examination for any risks or new opportunities are also important. Now, it is not recommended to analyze the should-cost for every item. There are many instances where conservative strategic sourcing techniques tend to work better. 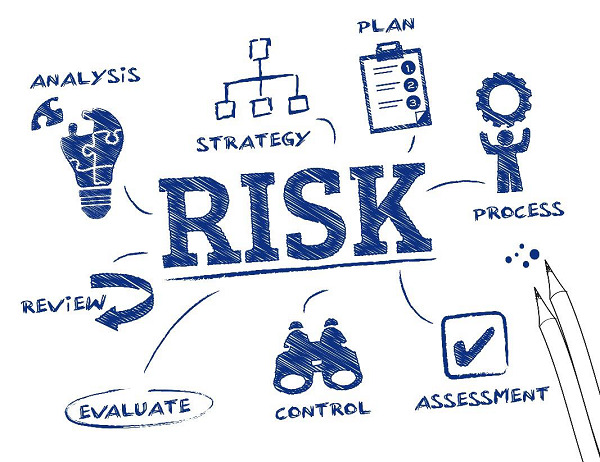 But in the instances where the application of strategic sourcing is not applicable, the should-cost analysis supplies a valuable tool that drives minimizing of cost and regular progress efforts of the supplier. The third step is developing a supplier analysis for both incumbent and potential substitute suppliers. This analysis assists in examining the skills and abilities of a supplier. In the meanwhile, data collected from incumbent suppliers is used for verifying spend information that suppliers have from their sales systems. 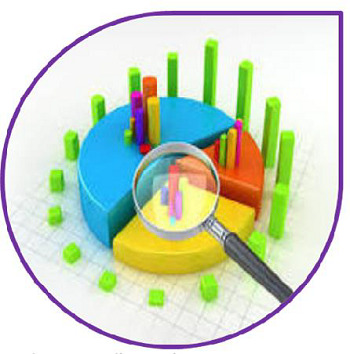 The analysis is done to examine the potential and skills of the market to satisfy the customer demands. This analysis helps in the examination done at the initial stage to find out if the proposed project is feasible and can be delivered by the identified supply base. This analysis also supplies an initial caution of the customer demands to the market and enables suppliers to think about how they would react to and fulfill the demand. Here the motto is to motivate the appropriate suppliers with the right structural layout to respond to the demands. The fourth step comprises constructing the sourcing strategy. The merger of the first three steps supports the necessary elements for the sourcing strategy. For every region or category, the strategy depends on answering the questions given below. How willing is the marketplace to oppose the supplier? How supportive are the clients of a firm for testing incumbent supplier relationships? What are the substitutes to the competitive assessment? Generally, these substitutes are opted when a purchasing firm has little leverage over its supply base. They will depend on the belief that the suppliers will share the profits of a new strategy. Thus, we say that the sourcing strategy is an accumulation of all the drivers thus far mentioned. Mostly, the competitive approach is applied in general cases. In this approach, a request for proposal or bid needs to be prepared (e.g., RFP, RFQ, eRFQ, ITT) for most spend classifications or groups. This defines and clarifies all the needs for all prequalified suppliers. The request should comprise product or service specifications, delivery and service requirements, assessment criteria, pricing structure and financial terms and conditions. In the fifth stage, an interaction plan needs to be executed to allure maximum supplier interest. It must be ensured that each and every supplier is aware that they are competing on a level playing field. After sending the RFP to all suppliers, it is to be confirmed that they are given enough time to respond. In order to motivate greater response, follow-up messages should also be sent. This step is all about selecting and negotiating with suppliers. The sourcing team is advised to apply its assessment constraints to the responses generated by the suppliers. If information across the limitation of RFP response is required, it can be simply asked for. If done correctly, the settlement process is conducted first with a larger set of suppliers and then shortlisted to a few finalists. If the sourcing team utilizes an electronic negotiation tool, large number of suppliers can sustain in the process for longer duration, giving more wide suppliers a better opportunity at winning the enterprise. After informing the winning supplier(s), they should be invited to take part in executing recommendations. The execution plans vary according to the scale of switches the supplier makes. For obligatory purposes, a communication plan will be set up, including any modification in specifications and improvements in delivery, service or pricing models. These tend to be communicated to users as well. As we know, the company gains immensely from this entire process of creating a communication plan, making some modifications according to the customer demand and further forwarding this to the customer. It’s essential that this process should be acknowledged by both the company and the supplier. For new suppliers, we need to construct a communication plan that copes with the alteration from old to new at every point in the process engaged by the spend category. The sections that have an impact of this change are the department, finance and customer service. In addition, the risk antennae will be particularly sensitive during this period. It is essential to gauge closely the new supplier’s performance during the first weeks of performance. Another essential task is to grasp the intellectual capital of the sourcing team, which has been developed within the seven-step process, so that it can be used the next time that category is sourced. As seen under the major objectives of supply chain, one of the basic objectives of SCM is to make sure that all the activities and functions within as well as across the company are managed efficiently. Many strategies are developed with the objective of streamlining inventories beyond the supply chain and holding the inventory investment as low as possible. The supply chain managers tend to maintain the inventories as low as possible because of inventory investment. The cost or investment related with owning inventories can be high. 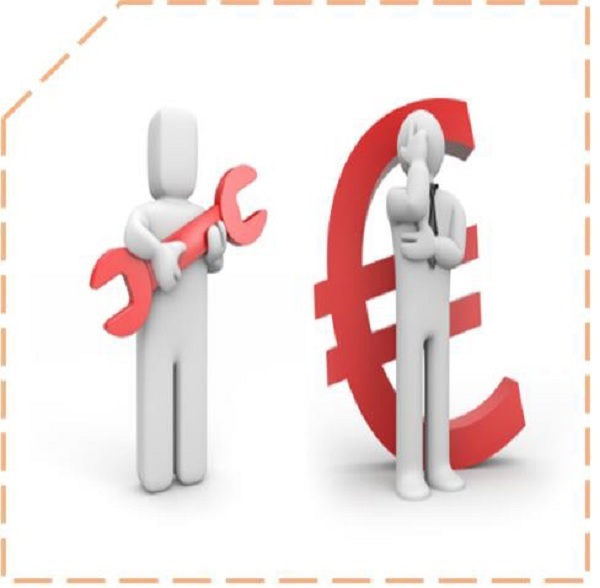 These costs comprise the cash outlay that is necessary for purchasing the inventory, the costs of acquiring the inventories (the cost of having invested in inventories rather than investing in something else) and the costs related with managing the inventory. Before understanding the role of inventory in supply chain, we need to understand the cordial relationship between the manufacturer and the client. Handling clients, coping up with their demands and creating relationships with manufacturer is a critical section of managing supply chains. There are many instances where we see the concept of collaborative relationship being marked as the essence of supply chain management. However, a deeper analysis of supply chain relationships, especially those including product flows, exposes that at the heart of these relationships is inventory movement and storage. More than half of it relies on the purchase, transfer or management of inventory. 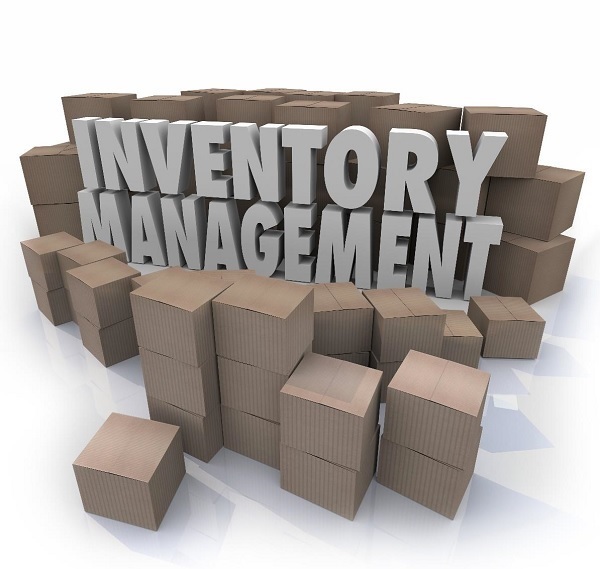 As we know, inventory plays a very important role in supply chains, being a salient feature. To supply and support the balance of demand and supply. To effectively cope with the forward and reverse flows in the supply chain. Companies need to manage the upstream supplier exchanges and downstream customer demands. In this situation, the company enters a state where it has to maintain a balance between fulfilling the demands of customers, which is mostly very difficult to predict with precision or accuracy, and maintaining adequate supply of materials and goods. This balance can be obtained through inventory. The Mixed integer linear programming (MILP) is a mathematical modeling approach used to get the best outcome of a system with some restrictions. This model is broadly used in many optimization areas such as production planning, transportation, network design, etc. MILP comprises a linear objective function along with some limitation constraints constructed by continuous and integer variables. The main objective of this model is to get an optimal solution of the objective function. This may be the maximum or minimum value but it should be achieved without violating any of the constraints imposed. We can say that MILP is a special case of linear programming that uses binary variables. When compared with normal linear programming models, they are slightly tough to solve. Basically the MILP models are solved by commercial and noncommercial solvers, for example: Fico Xpress or SCIP. Stochastic modeling is a mathematical approach of representing data or predicting outcomes in situations where there is randomness or unpredictability to some extent. For example, in a production unit, the manufacturing process generally has some unknown parameters like quality of the input materials, reliability of the machines and competence within the employees. These parameters have an impact on the outcome of the manufacturing process but it is impossible to measure them with absolute values. In these types of cases, where we need to find absolute value for unknown parameters, which cannot be measured exactly, we use Stochastic modeling approach. This modeling strategy helps in predicting the result of this process with some defined error rate by considering the unpredictability of these factors. While using a realistic modeling approach, the system has to take uncertainties into account. The uncertainty is evaluated to a level where the uncertain characteristics of the system are modeled with probabilistic nature. We use uncertainty modeling for characterizing the uncertain parameters with probability distributions. It takes dependencies into account easily as input just like Markov chain or may use the queuing theory for modeling the systems where waiting has an essential role. These are common ways of modeling uncertainty. A bi-level issue arises in real life situations whenever a decentralized or hierarchical decision needs to be made. In these types of situations, multiple parties make decisions one after the other, which influences their respective profit. Till now, the only solution to solve bi-level problems is through heuristic methods for realistic sizes. However, attempts are being made for improving these optimal methods to compute an optimal solution for real problems as well. Supply chain integration can be defined as a close calibration and collaboration within a supply chain, mostly with the application of shared management information systems. A supply chain is made from all parties that participate in the completion of a purchase, like the resources, raw materials, manufacturing of the product, shipping of completed products and facilitating services. There are different levels of supply chain integration. We will understand this with the help of an example of a computer manufacturing company. The initial step in integration shall include choosing precise merchants to supply certain inputs and ensuring compliance for them for supplying certain amount of inputs within the year at a set cost. This assures that the company has the appropriate materials required to produce the expected output of computers during the year. In the meanwhile, this computer company may sign a bond with a large supplier of circuit boards; the bond expects it to deliver a precise quantity at precise times within a year and fix a price that will be effective during the bond year. If we move to a higher level, the next step would be to integrate the companies more closely. The circuit board supplier may construct a plant close to the assembly plant and may also share production software. Hence, the circuit board company would be able to see how many boards are required in the upcoming month and can construct them in time, as the company requires them in order to meet its sales demand. Further higher level is referred as vertical integration. This level starts when the supply chain of a company is actually owned by the company itself. Here, a computer company may buy the circuit board company just to ensure a devoted supply of elements. In a push-based supply chain, the goods are pushed with the help of a medium, from the source point, e.g., the production site, to the retailer, e.g., the destination site. The production level is set in accordance with the previous ordering patterns by the manufacturer. A push-based supply chain is time consuming when it has to respond to fluctuations in demand, which can result in overstocking or bottlenecks and delays, unacceptable service levels and product obsolescence. This system is based on the deliberation of customer’s demand. It tries to push as many products into the market as possible. As a result, the production is time consuming because the producer and the retailer struggle to react to the changes in the market. Forecast or prediction plays an important role in the push system. Optimum level of products can be produced through long term prediction. This deliberative nature of the push system leads to high production cost, high inventory cost as well as high shipment cost due to the company’s desire to halt products at every stage. Thus, in the push view of supply chain integration, the manager of a firm may sometimes fail to satisfy or cope with the fluctuating demand pattern. This system leads to high inventory and high size of batches. Here, the companies focus more on minimizing the cost of supply chain and neglect the responsiveness. This system models challenges along with demand management and transportation management. The pull-based supply chain is based on demand-driven techniques; the procurement, production and distribution are demand-driven rather than predicting. This system doesn’t always follow the make-to-order production. For example, Toyota Motors Manufacturing produces products yet do not religiously produce to order. They follow the supermarket model. According to this model, limited inventory is kept and piled up as it is consumed. Talking about Toyota, Kanban cards are used to hint at the requirement of piling up inventory. In this system, the demand is real and the company responds to the customer demands. 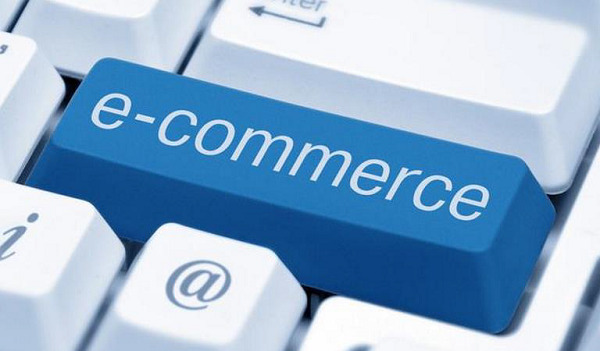 It assists the company in producing the exact amount of products demanded by the clients. The major drawback in this system is that in case the demand exceeds than the amount of products manufactured, then the company fails to meet the customer demand, which in turn leads to loss of opportunity cost. Basically in the pull system, the total time allotted for manufacturing of products is not sufficient. The production unit and distribution unit of the company rely on the demand. From this point of view, we can say that the company has a reactive supply chain. Thus, it has less inventories as well as variability. 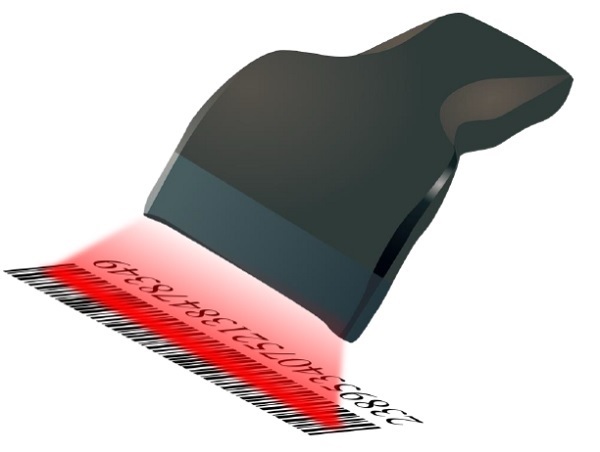 It minimizes the lead time in the complete process. The biggest drawback in pull based supply chain integration is that it can’t minimize the price by ranking up the production and operations. In the push system, the implementation begins in anticipation of customer order whereas in the pull system, the implementation starts as a result of customer’s order. In the push system, there is an uncertainty in demand whereas in pull system, the demand remains certain. The push system is a speculative process whereas the pull system is a reactive process. The level of complexity is high in the push system whereas it is low in the pull system. The push based system concentrates on resources allocation whereas the pull system stresses on responsiveness. The push system has a long lead time whereas the pull system has a short lead time. The push system assists in supply chain planning whereas the pull system facilitates in order completion. To conclude, the push based supply chain integrations works with an objective of minimizing the cost whereas the pull based supply chain integration works with an objective to maximize the services it provides. Mostly we find a supply chain as merger of both push and pull systems, where the medium between the stages of the push-based and the pull-based systems is referred as the push–pull boundary. The terms push and pull were framed in logistics and supply chain management, but these terms are broadly used in the field of marketing as well as in the hotel distribution business. To present an example, Wal-Mart implements the push vs. pull strategy. 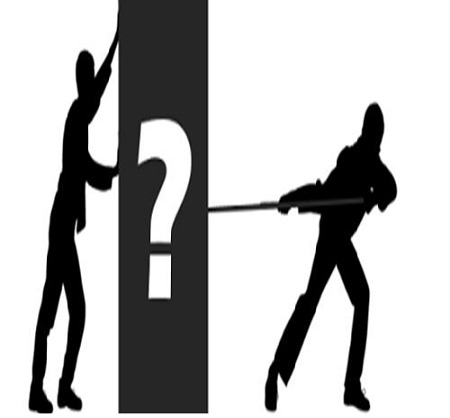 A push and pull system in business represents the shipment of a product or information between two subjects. Generally, the consumers use pull system in the markets for the goods or information they demand for their requirements whereas the merchants or suppliers use the push system towards the consumers. In supply chains, all the levels or stages function actively for the push and the pull system. The production in push system depends on the demand predicted and production in pull system depends on absolute or consumed demand. The medium between these two levels is referred as the push–pull boundary or decoupling point. Generally, this strategy is recommended for products where uncertainty in demand is high. Further, economies of scale play a crucial role in minimizing production and/or delivery costs. For example, the furniture industries use the push and pull strategy. Here the production unit uses the pull-based strategy because it is impossible to make production decisions on the basis on long term prediction. Meanwhile, the distribution unit needs to enjoy the benefits of economy of scale so that the shipment cost can be reduced; thus it uses a push-based strategy. The demand-driven strategies were first developed to understand the impact of inactivity and collection, as information fertilizes the supply chain from the source of demand to the suppliers. Within a mentioned supply lead time, normally the manufacturers manufacture sufficient goods to satisfy the needs of their clients predicted. But this is only somewhat accurate at the granular level at which inventory decisions are made. Anyways, when the actual demand varies from the demand predicted, the first thing to be done is to adjust the supply levels needed in accordance with each step of the supply chain. But because of time delay between changing demands and its detection at several at points along the supply chain, its impact is amplified, resulting in inventory shortages or excesses. The inventory levels of the companies are disturbed because of the overcompensation done by the companies either by slowing down or speeding up production. These fluctuations prove to be a costly and inefficient affair for all participants. Basically, the demand-driven strategies or the demand-driven supply chain is completely based on the demand as well as the supply part of marketing. So it can be uniquely organized in terms of the demand side and supply side initiatives. The demand-side initiatives concentrate on efficient methods to acquire the demand signal closer to the source, observe the demand to sense the latest and most accurate demand signal and shape the demand by implementing and following promotional and pricing strategies to gear up demand in accordance with business objectives. On the other hand, the supply side initiatives mostly need to do with reducing reliance on the prediction by developing into an agile supply chain accompanied by faster response when absolute demand is known. All the strategies discussed above are addressed under the demand-driven strategy, but we a company following all of them is rare. In fact, we can conclude that companies concentrate on different markets on the basis of features of the market and industry.